Canadian band, BadBadNotGood, has a new single, “To You.” The song is as fluid as the group’s genre-definition. “To You” is found on the band’s forthcoming album, “Late Night Tales.” It is a cover song of an indie pop song. Both versions convey the halting and awkward nature of romantic confessions, and the soft-spoken and earnest nature of those confessions. 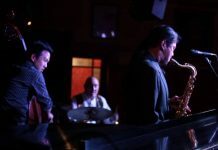 The group wears a number of genre labels, including jazz, but they have done so much work with influential hip-hop artists that audiences might wonder if they aren’t a true hybrid. The Toronto-based quartet is also listed as instrumental hip-hop, electronica, and post-bop. With so many labels, it is clear the band performs in ways that defines and defies traditional categories. BadBadNotGood is comprised of Matthew Tavares on keyboards, Chester Hanson on bass, Leland Whitty on saxophone, and Alexander Sowinski on drums. “To You” is a cover song. The original is by Canadian indie pop artist, Andy Shauf. The song appeared on Shauf’s 2016 album, “The Party.” BadBadNotGood’s version captures the emotional vulnerability of the original. The sound represents genre-fluidity. Though there are distinct instruments, but they sound as if they are taking turns so as not to crowd the soundscape. Yet, I have a difficult time calling the sound and approach “minimalist.” Yes, describing the sound of BadBadNotGood is an exercise in contradictions. The sound is as intimate as a vinyl recording, no matter what device listeners hear the track on. Imagine a gentle rainfall, the sound of which waxes and wanes. Now, imagine that sound created by a shy motif made of triplet notes. The bass plays three notes at the end of each line. The piano picks up and plays faster notes. Except for a faint clacking that sounds as soft as a dripping faucet, the drums are almost non-existent. And the song ends on the motif from the beginning, and that structure would satisfy most listeners, if the song were more than two-and-a-half minutes long. The theme of the song, offering something to another person, is indicated by the hopeful and melancholy sounds created by the piano motif that opens the piece. The sound might remind listeners of the kind of soundscape they are treated to in independent films, when the protagonist finally faces up to his or her challenge. And regardless of outcome, the act of bravery is a good thing, even if the emotional price is high. The “giving” aspect of the tune is further demonstrated by the motif returning at the end. Has the protagonist received something in return? It is difficult to say. At any rate, this song could fit in almost anywhere. True, it is not a super-hype party song. But it is calm, for the most part—even the tension is mellow when the piano picks up. That section where the piano plays a bit faster will remind some listeners of traditional post-bop. It calls to mind Miles Davis’ Second Great Quintet. Post-bop exhibits the characteristics of so many other genres while being exactly none of them, and that is what BadBadNotGood is doing with “To You.” The category for this band probably hasn’t been invented yet. 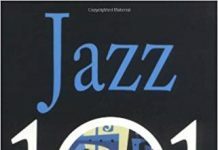 Worth a listen for jazz fans, and for people who think they have heard all there is of jazz. 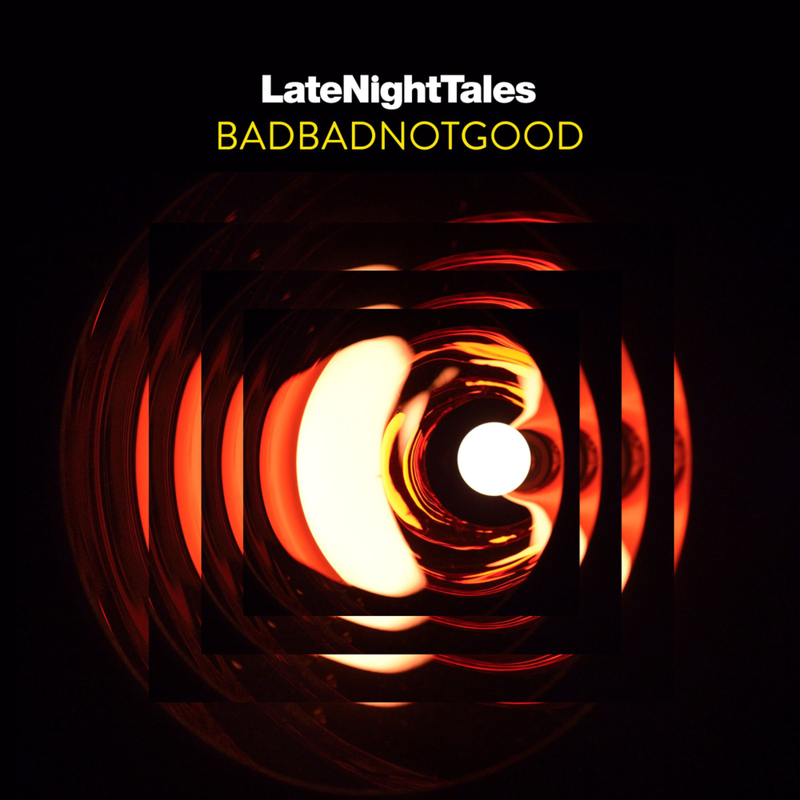 BadBadNotGood’s album, “Late Night Tales” will be out July 28, 2017.